Canna is the westernmost isle in the Small Isles, situated off Scotland's west coast. The island is just 5 miles from tip to toe, and 1 mile across. The entire island is cared for by the National Trust for Scotland. The island has been inhabited for at least 9000 years and has developed long-standing traditions and a way of life that has changed very little over the centuries. There are no cars on Canna, so get used to walking to enjoy the amazing scenery and bird life. Canna glories in the nickname 'The Garden of The Hebrides', a tribute to the fertile soil - something that cannot be said for all the Hebridean islands! There is a very large bird population, and Canna has been a recognised bird sanctuary for over 75 years. Over 20,000 seabirds breed here. Among the star species are puffins, guillemots and razorbills. The coastline is known for its striking basalt cliffs, punctuated by caves and sea stacks alternating with sandy stretches of secluded beach. Canna belonged to the monks of Iona, possibly as early as the 7th century. 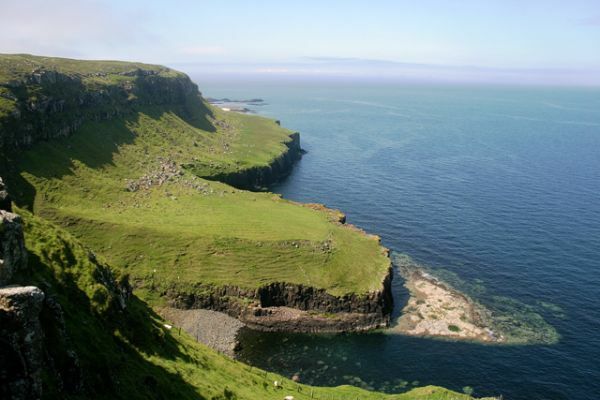 It is possible, though unlikely, that the island was used by St Columba as a monastic retreat. Even if Columba himself did not come here, the island definitely had a very early Christian presence. a pair of carved crosses have been discovered, one dating to the 10th century. Ten grave slabs marked with crosses have also been found. 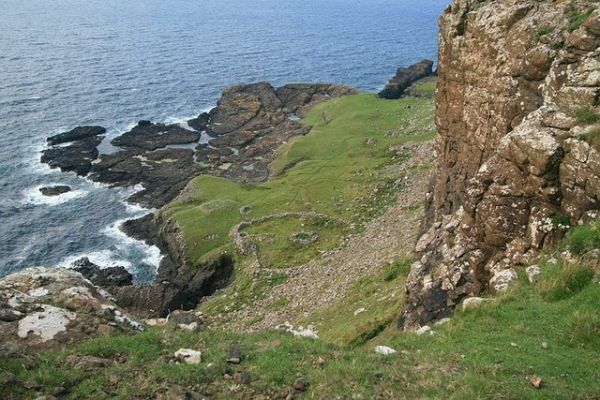 On the south coast is Sgorr nam Ban-naomha, the remains of an early Christian monastic enclosure. The name translates loosely as 'slope of the holy women', suggesting a possible nunnery. If so, the nuns could only have been supplied by sea, for the location makes access very difficult. A trio of carved stones incised with crosses were found within the enclosure during excavations. Even more intriguing is a 'cursing stone' discovered in 2012. The stone dates to around AD 800 and is the first ever discovered in Scotland. The Norse held western Scotland from the 9th century until the Battle of Largs, and though traces of Norse settlement are few, place names suggest the Norse heritage. 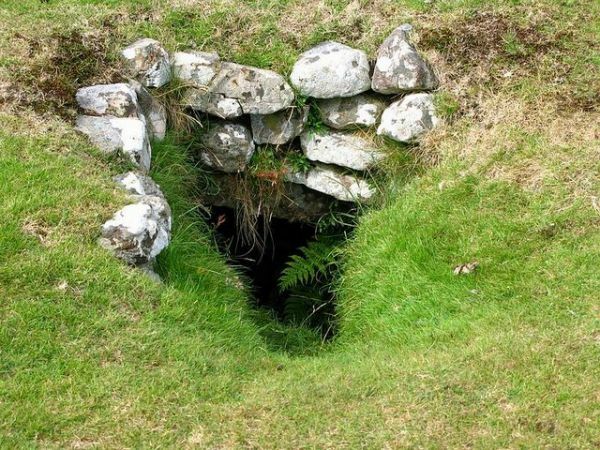 One intriguing historic site with a Norse link is Uaigh Righ Lochlainn ("The grave of the King of Norway"), located near the northern tip of the island at Rubha Langan-innis. 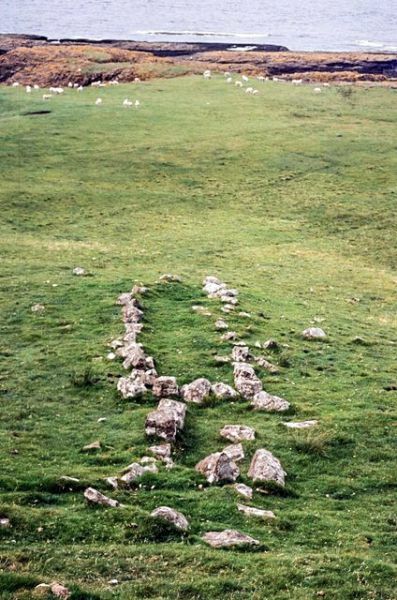 Though it is called a grave, no remains have been found, indeed it is difficult to interpret the remains, which consist of a rectangular enclosure some 33 feet long. Coroghon CastlePerhaps the most intriguing historic site on Canna is a ruinous structure atop a sea stack off the island's east coast. The odd structure is known as Coroghon Castle, said to have been built by a jealous husband as a prison for his wife. It is possible that the structure was a pre-Christian dun, later altered in the medieval period to form a prison. The island's former church has been restored and is now a Gaelic study centre operated by the Hebridean Trust. 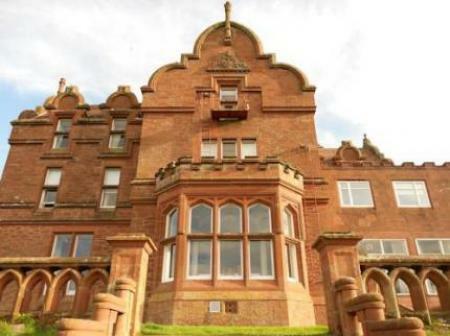 Access is by passenger CalMac ferry from Mallaig or by cruise ships from Arisaig and Mallaig. Canna is one place you don't visit on a whim! The National Trust for Scotland operates several holiday cottages, and there is also a private guest house and holiday cottage. 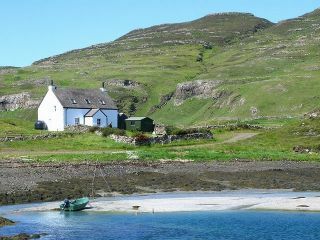 See full information on the official NTS website or the Isle of Canna's own website at www.theisleofcanna.com. Nearby accommodation is calculated 'as the crow flies' from Canna. 'Nearest' may involve a long drive up and down glens or, if you are near the coast, may include a ferry ride! Please check the property map to make sure the location is right for you. 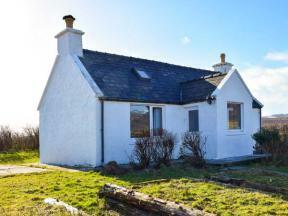 This detached cottage situated one mile from Staffin on the Isle of Skye sleeps four people in two bedrooms. 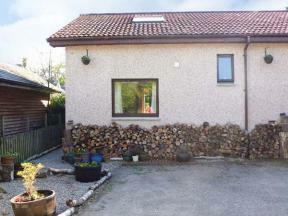 This cottage annexe on the outskirts of the town of Kingussie sleeps two people.